for $175,000 with 1 full bath. This 6,500 square foot building was built in 1986 on a lot size of 5.7400 Acre(s). 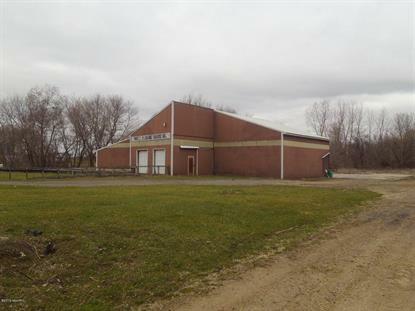 Great opportunity to own commercial building that is half way between Muskegon and Grand Rapids! Comes with two parcels which amounts to 5.74 acres. 2 loading Docks and 5 doors with 16 ft. high ceilings.